Mighway was launched with the initiative for RV owners to capitalize on the booming tourism market to provide real value for guests, while being able to earn some extra income in a safe and supported way. Labelled the ‘Airbnb’ of RVs, Mighway is an innovative RV sharing platform, raising the bar in service and consumer protection, and connecting RV owners with travelers. While other RV sharing platforms serve more as booking engines, Mighway assists travelers throughout the road trip and often beyond. More than that, Mighway changes the game by offering the option to manage everything for owners as well. Leveraging off its sister companies has meant that Mighway can also align with dealers, service centers and trip-planning resources throughout the country to offer owners and guests a full coverage experience. Mighway is able to offer great availability and lower minimum rental periods over the summer months when commercial rental operators are often fully booked. Mighway's greatest point of difference is that the company encourages a strong sense of community and belonging. It’s that friendly approach to hospitality that makes the experience that much more personal and memorable. It’s not unusual for Mighway owners to sit down and have a cup of tea or coffee with their guests and share their favorite bits of RV travel before they hit the road to create even more memorable adventures. Vehicles listed on the Mighway range from vans to buses and everything in between. Mighway, which began in New Zealand in 2015, successfully launched in California in 2017, is now rolling out across the United States. In early 2018, Mighway became part of TH2, a joint venture between Thor Industries and thl. Part of the TH2 joint venture, Mighway is currently New Zealand’s largest and fastest growing peer-to-peer motorhome rental service, and is in its third year of operation since being launched in November 2015. Since then, Mighway has attracted more than 1000 RV/motorhome owners and is growing rapidly. TH2 is a joint venture created by two travel giants: Thor Industries, the world’s largest RV manufacturer, including America's most recognizable travel trailers, Airstream; and thl, the world’s largest RV rental and sales operator. Together, TH2 is bringing together with the world’s best travel and technology companies to reimagine the RV experience. 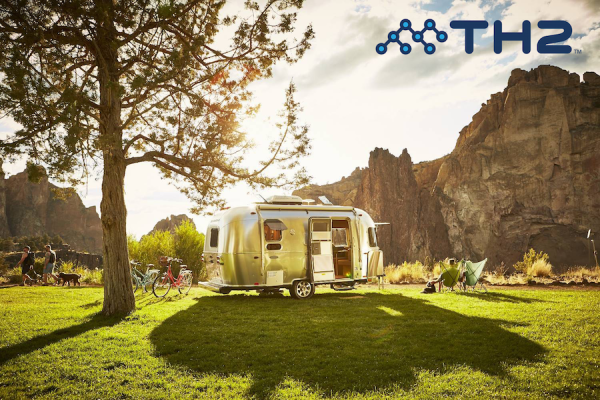 TH2's innovative approach to the RV experience will improve every aspect of ownership with capabilities that include trip planning and booking, remote monitoring, theft tracking, and peer-to-peer RV and campsite rental. Mighway is proud to be part of the TH2 family.